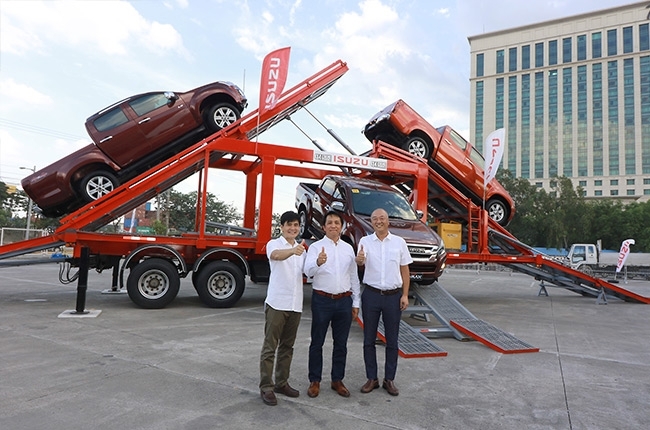 Isuzu Philippines Corporation (IPC) continues its annual tradition of bringing the D-Max and mu-X closer to Filipinos outside the nation’s capital. 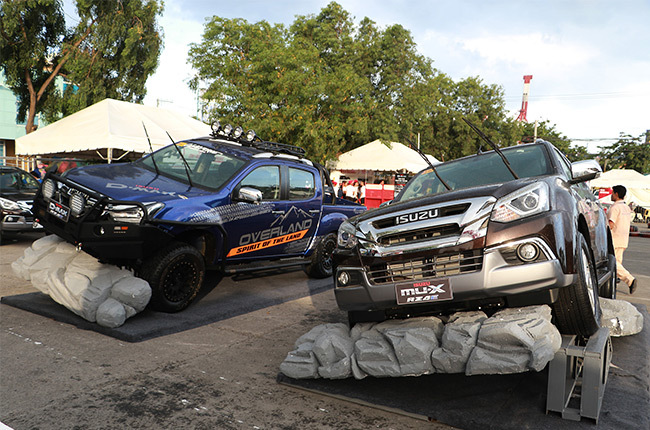 Dubbed as the Isuzu 4x4 Xtreme Xperience, IPC showcased the off-road capabilities of both vehicles at SM City Cebu’s open parking area last weekend. One of the highlights of the event was the 4x4 Xtreme Xperience Action Ramp wherein participants were encouraged to ride a 3.0L D-Max 4x4 over a two-story-high steep narrow metal ramp. Talk about bravery. Aside from showcasing the cars’ talents, fun and engaging activities were arranged for Cebuano families, making the event a weekend family affair. Numerous games and activities were also put in place, which included 15 stations of “Consumer Journey.” These were drift karting, photobooth, kids' activity area, all-terrain display, aftermarket display, mod hobbyist exhibit, the My Dream Isuzu Car corner, and car club meet-ups. Promos and discounts exclusive to the "Xtreme Xperience" are also offered during the three-day event. In addition, accessorized versions of the RZ4E-powered D-Max and mu-X were on display. Attendees were also allowed to test drive IPC’s latest versions of the famous pickup truck and midsize SUV. The following also took place at the last day of 4x4 Xtreme Xperience: the cheerdance competition finale, the awarding ceremonies for the cheerdance, fuel economy run, and the highest kilometer mileage. For entertainment, TV actress, singer, and Isuzu mu-X ambassadress Maja Salvador took center stage, along with the rock group Urbandub, which coincided with the Isuzu Cebu, Inc. (ICI) 20th anniversary logo. The Isuzu 4x4 Xtreme Xperience was organized in partnership with IPC and ICI, which comprises Isuzu Mandaue, Cebu, Talisay, and Bohol. It’s next stop will be on September 21-23, 2018 in Iloilo. This event was sponsored by Pilipinas Shell, Standard Insurance, BPI/MS Insurance Corporation, Hawk Trading, LED Works, JoyRide, Nature’s Spring, and Mapfre.